This swedged throttle linkage tubing is tapped 3/16" (10-32) LH and RH thread. One end of the throttle rod will have left hand threads, and the other end will have right hand threads. 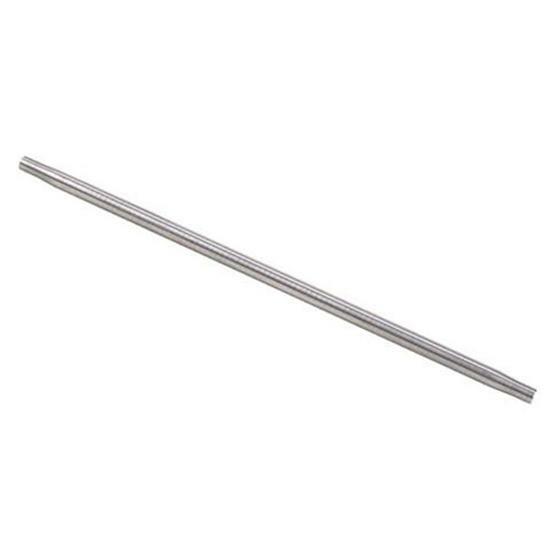 Made of 5/16" x 0.049 round aluminum tubing. Note: When measuring for your tube length, you will want to allow 1.5" in length for the rod ends (3/4" of length for each end when calculating your eye-to-eye measurement. For instance, an eye-to-eye length of 11.5" would require a 10" swedged tube.